PEOPLE who have visited Perth Airport, Northbridge and two major Perth hospitals are among those to be on alert to measles symptoms following confirmed cases in two adults. Two people were infected separately while overseas – one in Bali, and one while visiting one of three countries in South East Asia. These people may have been infectious to others while at Bentley Hospital’s B Block, Kung Fu Kitchen in Cannington, Perth Airport, Royal Perth Hospital, a medical centre in Queens Park and a pharmacy in Northbridge. WA Health Medical Epidemiologist Dr Gary Dowse said measles was contagious for about four days before and after the development of the rash. Dr Dowse said individuals who developed a fever with other symptoms – including a cough, runny nose, sore red eyes and a rash – within one to three weeks of potential exposure to someone with measles, should stay at home and call ahead to their doctor’s office. 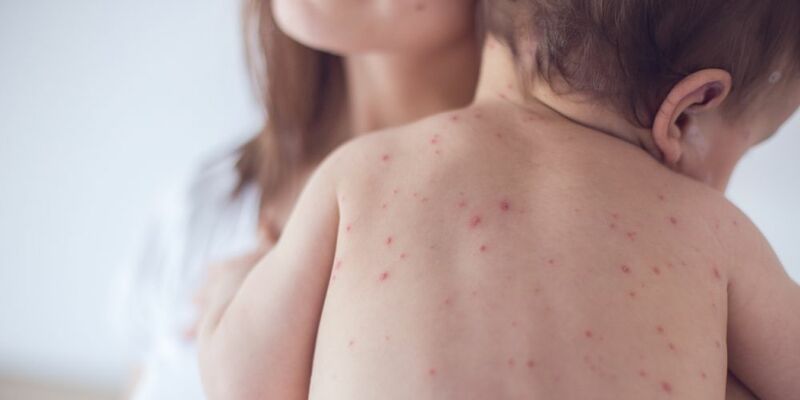 “Anyone who thinks they are infected should call ahead and mention their possible contact with measles so they can be isolated when they arrive at the GP surgery or Emergency Department, to prevent infecting other patients and staff,” Dr Dowse said. Early symptoms include fever, cough, runny nose and sore eyes, followed by a red blotchy rash about three days later. Measles infections can be especially severe in infants and people with poor immune systems. Complications following measles can be serious and include ear infections and pneumonia in about 10 per cent of cases. About 40 per cent of cases require hospitalisation and about one person in every 1000 will develop encephalitis, an inflammation of the brain. There have been around 50 deaths from measles in the past two years in Europe associated with outbreaks occurring there, serving as a reminder of the seriousness of the disease, even in developed countries. Naturally occurring measles has been eliminated from WA for about 20 years but occasional cases and small outbreaks occur, associated with tourists or WA residents who are infected overseas. Every imported measles case is treated as a public health emergency because of the risk of local spread – including to those most vulnerable to infection such as infants too young to be vaccinated, pregnant women and those with compromised immune systems.The measles vaccine is currently given to children at 12 and 18 months of age. People born during or after 1966 should make sure they have had two documented doses of a measles vaccine at some stage in their life, especially before travelling overseas. * Kung Fu Kitchen restaurant in Albany Highway, Cannington from around 12.30pm to 1.30pm on Saturday, March 10. * Perth Airport international terminal arrival area, from around 8pm to 9pm on Sunday, March 11, particularly associated with the arrival of Scoot flight TR 16 from Singapore. * Busy Bee Pharmacy on William and James Streets in Northbridge on Monday, March 12 around 12.30pm to 1pm; Wednesday, March 14 around 12.10pm to 12.45 pm; and Friday, March 16 around 8.40am to 9.15am. * Queens Park Medical Centre in Wharf St, Queens Park, from: around 3pm to 4pm on Monday, March 12 around 11.15am to 1.15pm on Wednesday, March 14 around 9.45am to noon on Friday, March 16. * Bentley Hospital B Block ground floor and main entrance from: around 9.15am to 11am on Tuesday, March 13 around 2pm to 4pm on Wednesday, March 14. * Royal Perth Hospital from: 11.30am until 2.30pm on Saturday, March 17, in and around the Emergency Department 2pm on Saturday, March 17 until 7.30pm on Monday, March 19, in and around the Acute Care Unit on the 5th floor of Q block.